The art of covering different surfaces with tile shards to compose a mosaic is called trencadis and it was widely used by Gaudi and his followers. So far so good. 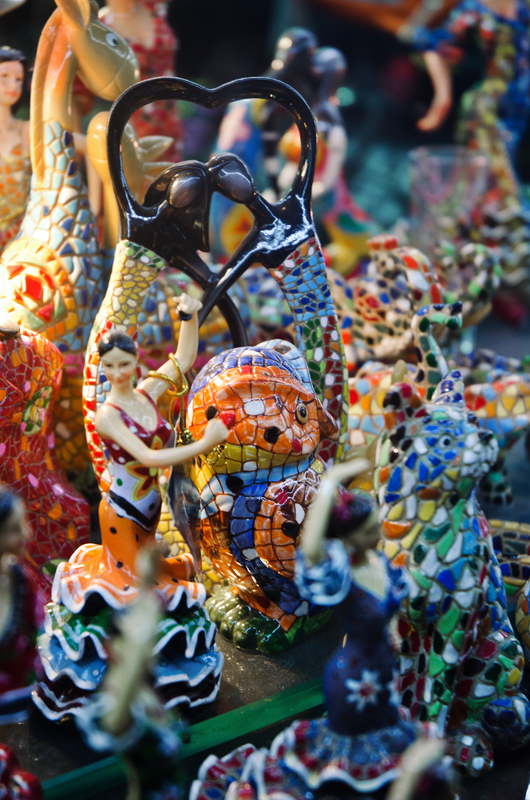 What is it with souvenir shops and 'artists' in Barcelona that tend to evoke such technique by using elements so irrelevant to Catalan culture as flamenco dancers or bulls. This is as ambiguous as pretending that Catalans go around wearing Mexican hats. I'm sure it drives you nuts. I hadn't thought of it before but now it is at the forefront for me. I suppose many don't know Catalan history and assume Barcelona is just another town in Spain. How sad that is because it's truly so much more than that.